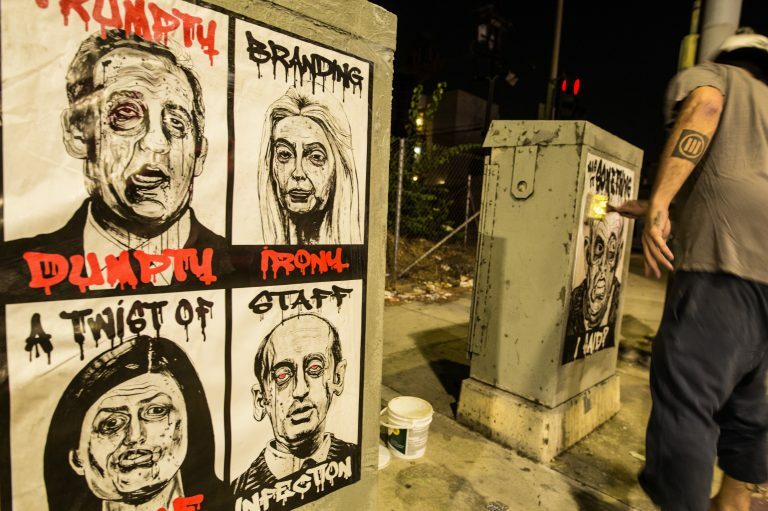 After dark on a recent Wednesday, well-known guerilla street artist Robbie Conal and two of his artist friends spent a few hours of political mischief on the streets of Los Angeles. In the parking lot of Wendy’s Donuts in Marina Del Rey, they spot their first target: a traffic light control box, perfectly sized for one of his new posters lampooning President Trump and his inner circle. Conal and his crew move quickly, from location to location, laughing and kibbitzing about food while postering. He titled his portrait of White House press secretary Sarah Sanders “A Twist of Fake.” Trump advisor Steven Miller is stamped “Staff Infection.” The posters are made from original oil and acrylic paintings in a collection Conal calls the “Cabinet of Horrors. 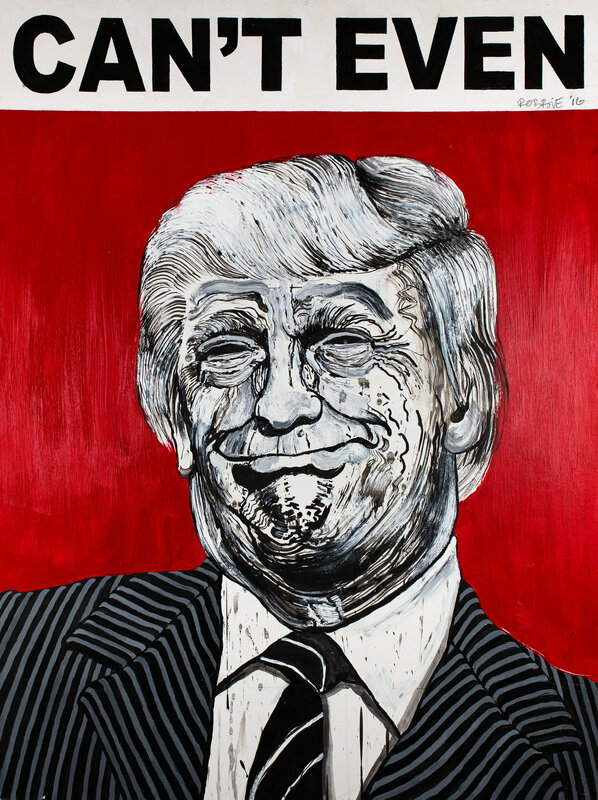 ” They include Mike Pence, labeled “Stillborn again” and Melania Trump, who is inscribed in pink glitter with “Me Too?” The collection is on display at the downtown LA Gallery Track 16, and will soon go to Washington, D.C.
At 74 years old, Conal is considered the godfather of political poster art in this country. He began in the 1980s with a portrait of Ronald Reagan and the words “Contra Diction.” Since then, he’s poked fun at political figures from both parties. Back on the streets, Conal and his friends joke about the reactions his images have inspired. “Some people write things on them, like ‘Why is art so demoralizing?’ ” laughs the artist. Over the years, Conal and his crews have been arrested for vandalism. But sometimes, he says, even the cops who stop them ask for posters. Around the country, other artists are expressing themselves through a public art project called “The 50 State Initiative.” It features more than 100 billboards that touch on a variety of social issues and topics, from immigration to guns to climate change to national healthcare. “We believe that it’s important at times like these to be visionary, not reactionary, and try to open doors for new ways of conversation,” says artist Hank Willis Thomas. He and artist Eric Gottesman founded For Freedoms, a nonpartisan initiative behind the billboards project. The project involves universities and museums, town hall meetings for public discussions. They’ve also been giving out lawn signs for people to fill in what freedoms they hope for. 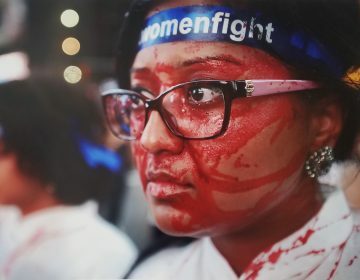 The Asian Arts Initiative in Philadelphia is exhibiting work by a group of Dalit, once known as “untouchables,” to protest that social hierarchy. University of Pennsylvania sophomore Claire Sliney won an Academy Award Sunday evening. 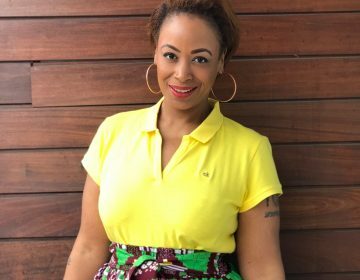 WHYY reporter Trenae Nuri talked with Feminista Jones about her new book, "Reclaiming Our Space."